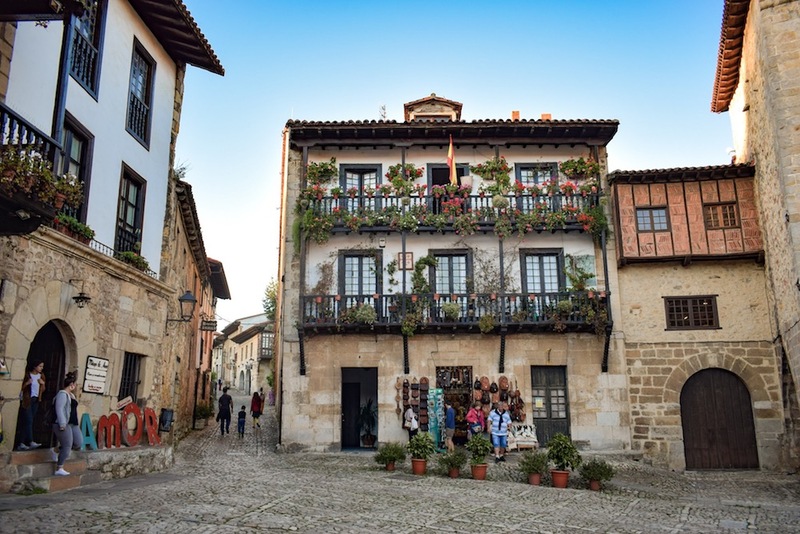 Situated on the Bay of Biscay and nuzzled between the regions of Castile and León, Asturias, and the Basque Country, Cantabria is one of the most beautiful and interesting regions of Spain. It really does have it all: pristine beaches and sleepy little villages, dramatic mountainscapes and vineyards perched on hills that tumble into the cobalt-blue Cantabrian Sea. 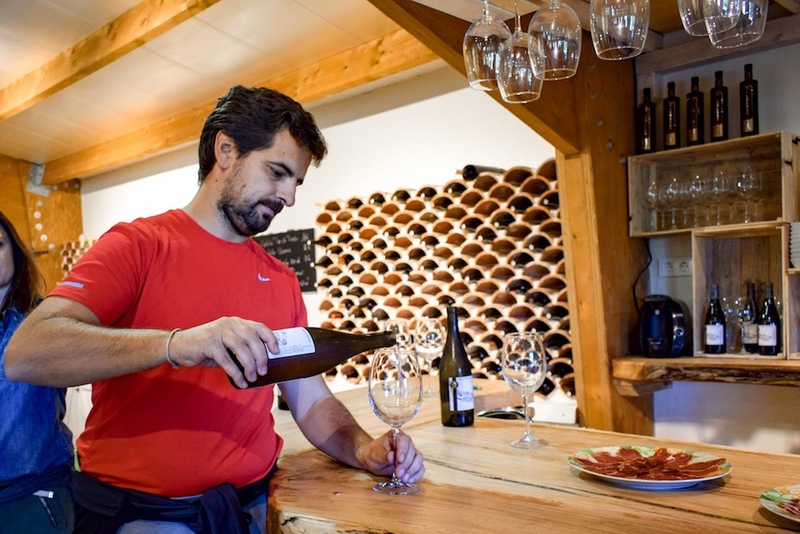 It really does have it all: pristine beaches and sleepy little villages, dramatic mountainscapes and vineyards perched on hills that tumble into the cobalt-blue Cantabrian Sea. Whether exploring its grand palaces, meeting the local characters or discovering the cuisine, you’re almost certain to fall for the charms of this unspoilt nook of Spain. 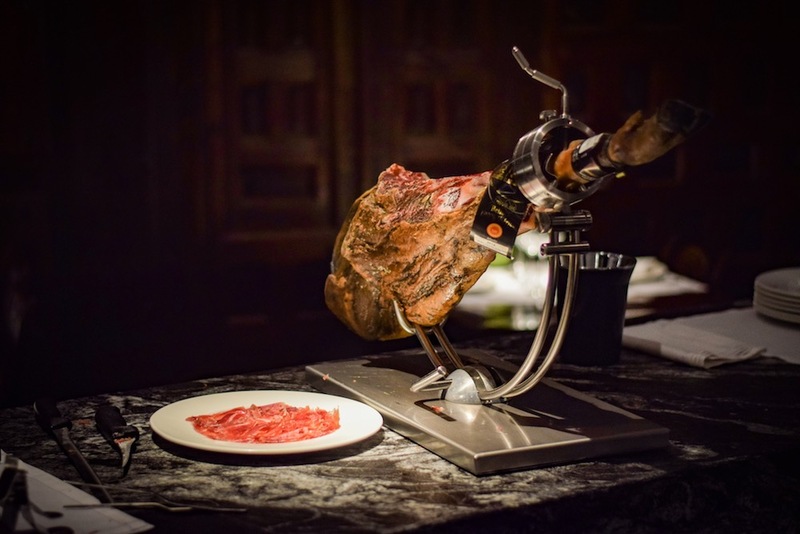 Cantabria is a dream destination for travellers like me, for travellers who love to eat and drink, to literally ‘taste’ their way through new cultures. 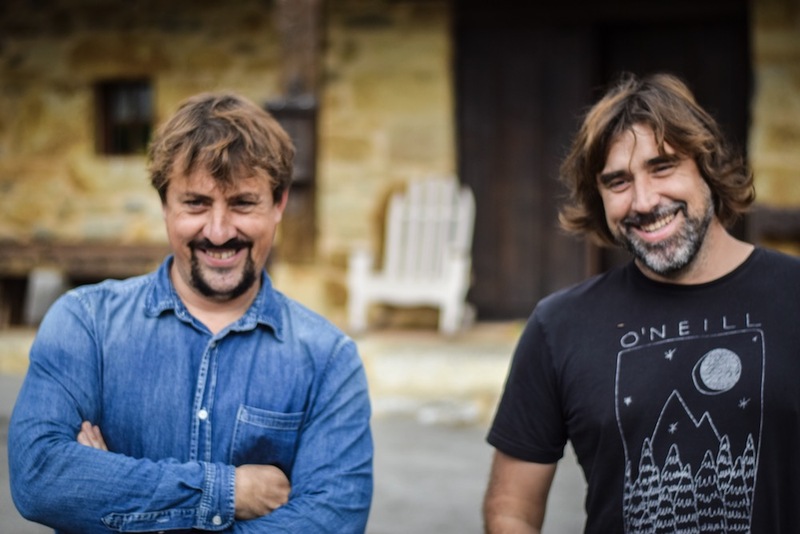 I kick-started my Cantabrian crusade at Bodegas Vidular, a boutique winery run by brothers Jon and Mikel Durán with the help of their white-whiskered father. It was still early morning, around 10.30am, but their enthusiasm and unbridled passion for their wine was infectious. With eyes ablaze and a devilish grin, Mikel guided us into a small industrial space filled with giant fermentation tanks. Jon opened a tap and flooded a terracotta jug to the brim with rough but pleasantly cloudy white wine and we toasted the morning with what tasted like sparkling grape juice, albeit with a slight kick to it. As we moved on to the next tanks, the wine became more, well, wine-like, and by the time we entered the tasting room we were all feeling pleasantly buzzed. ‘Tasting room’ doesn’t really do the venue justice – it is in fact an 18th century farmhouse, a triumph of hand-cut stone and exposed wooden beams. The brothers spent years renovating the property, transforming it into a five-bedroomed mountain retreat where guests can cosy up by the fireplace before taking a stroll among the vines. I could quite happily spend a month or two here, sipping wine and devouring books in front of the fire. Drawing on a blend of albariño, treixadura and chardonnay grapes, the wines are fresh and bright with subtle bursts of citrus and eucalyptus. Mikel prepared platters of local cheese and meats, and peeled open a few tins of Cantabria’s famous anchovies. 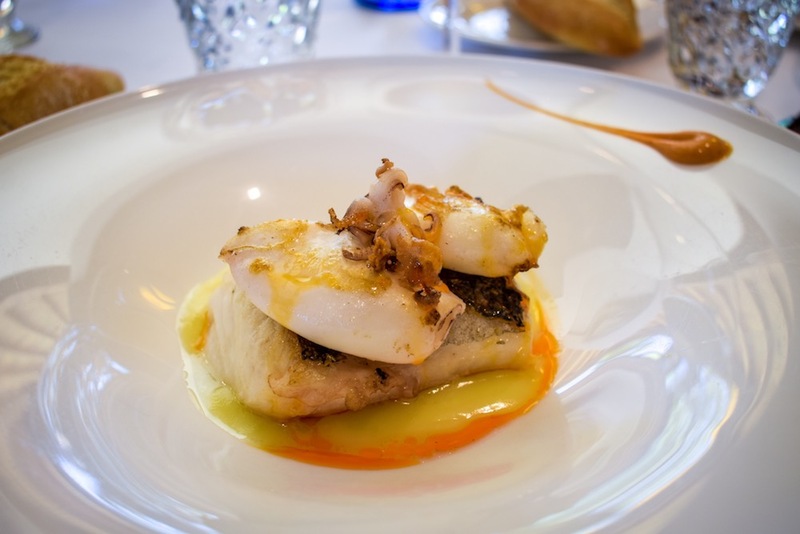 It was an inspired combination – the saltiness of the firm little fish harmonising beautifully with the acidity of the wine. Naturally, we couldn’t leave without trying the brothers’ sparkling wine. “We make it the same way as Cava in Catalonia, or Champagne in France. 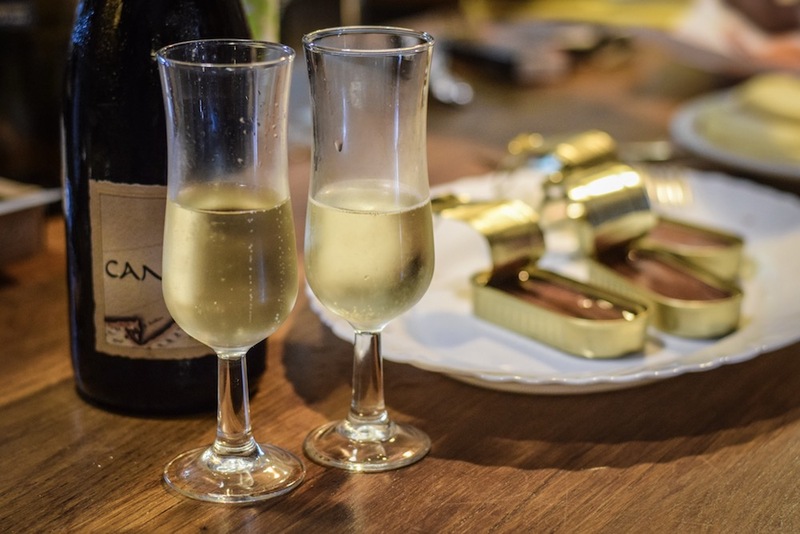 But we can’t call it Cava or Champagne, so we just call it sparkling wine,” explained Jon modestly. It was as good as any Cava I’ve ever tasted and after a few sips the morning’s fiesta was in full swing. Sensing this, Mikel produced a selection of their orujos, a brandy-like spirit distilled from grapes – a Cantabrian classic. Sweet and smooth, it makes my heart race and belly burn. 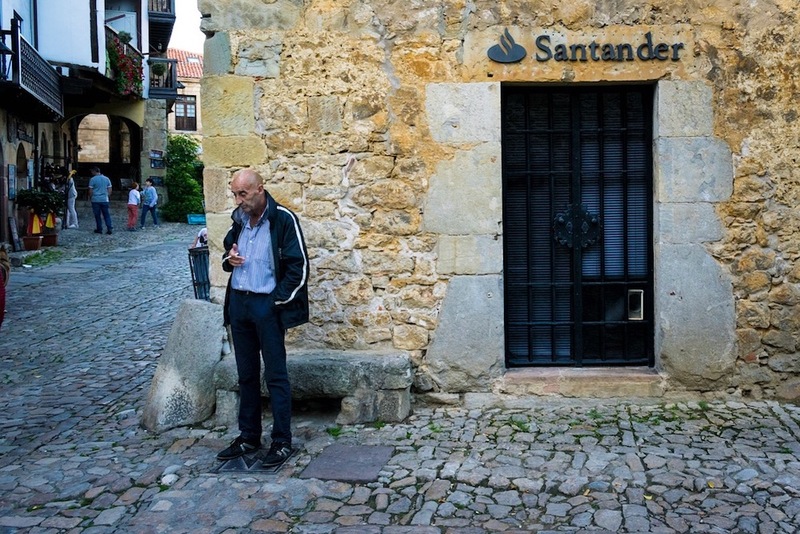 I left Bodegas Vidular feeling that I’d made two new friends, that I’d made a real connection with Cantabria and the proud people who make it such a special place. Like much of ‘Green Spain’, as the north is known, Cantabria is known for its palaces. Some were built for royalty, others as decadent declarations of wealth by rich ‘Indianos’ returning to Spain after making vast fortunes as tobacco growers, plantation owners and slave traders in the ‘New World’. Palacio de la Peña is a 16th century palace that has been lovingly transformed into a five-star hotel. 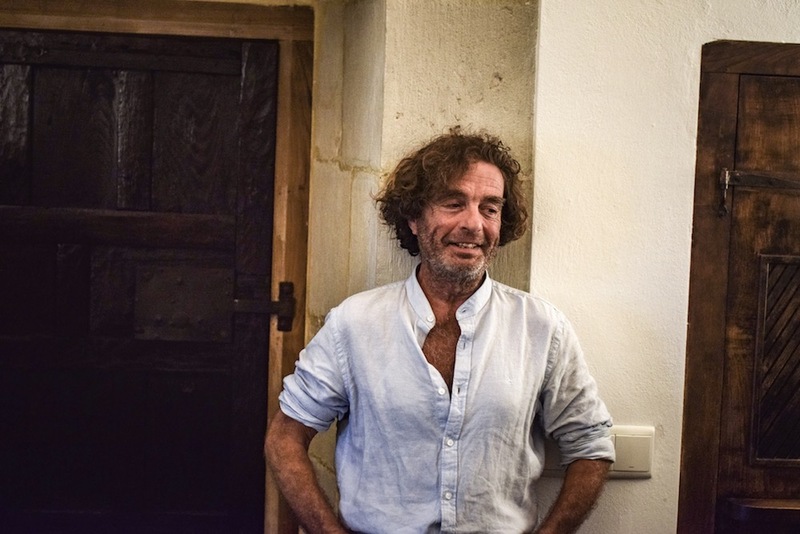 My fellow travellers and I had the pleasure of meeting owner Manuel, a talented architect and natural raconteur. “How did you end up owning a palace?” we asked Manuel as we wandered through the hotel’s antique-resplendent lounge. As a trained architect, Manuel slowly started renovating the property and filling it with period furnishings, with old writing bureaus made of mahogany and decorated with ivory, gilt mirrors and lustrous vestiges from old churches. Is sir ready for the banquet? And how did Manuel source this priceless collection? “I used to be an antique dealer,” he shrugged as if it were the most normal thing in the world. The eight enormous rooms are more like independent apartments within the hotel, each offering spectacular views over the elegant gardens and/or Cantabrian Sea. 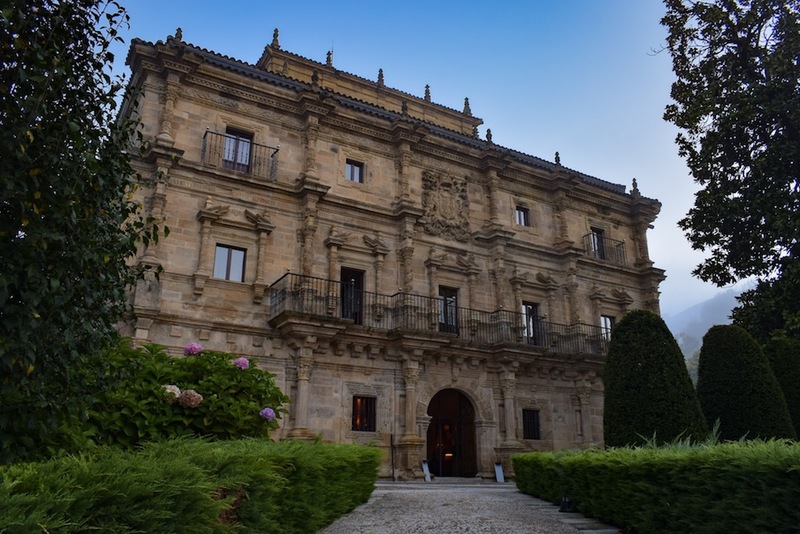 During my time in Cantabria I was fortunate to stay in two palace hotels not too dissimilar to Manuel’s – Palacio de Soñanes in Villacarriedo, and Palacio de Guevara in Treceño. It really is such a unique experience staying in these ancient and romantic properties and they make for suitably charming basecamps from which to explore the many points of interest of this dramatic region of Spain. 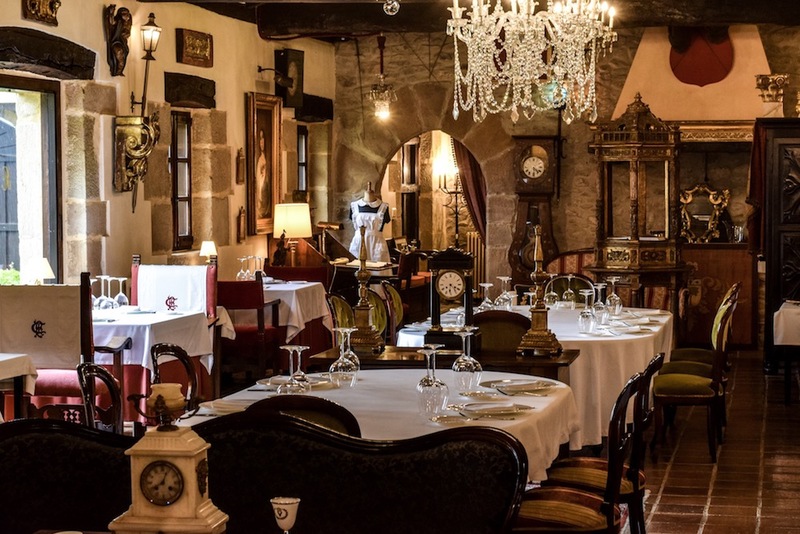 In Santander, the handsome capital of Cantabria, we indulged in what I can only describe as a royal banquet at Bodega El Riojano. The restaurant dates back to 1940 and is a seductively romantic space with moody lighting, hulking wooden beams and vibrantly decorated wine barrels. Blessed with rugged mountains, fertile pasturelands, rivers and the Cantabrian Sea, Cantabria has both variety and abundance when it comes to gastronomy. 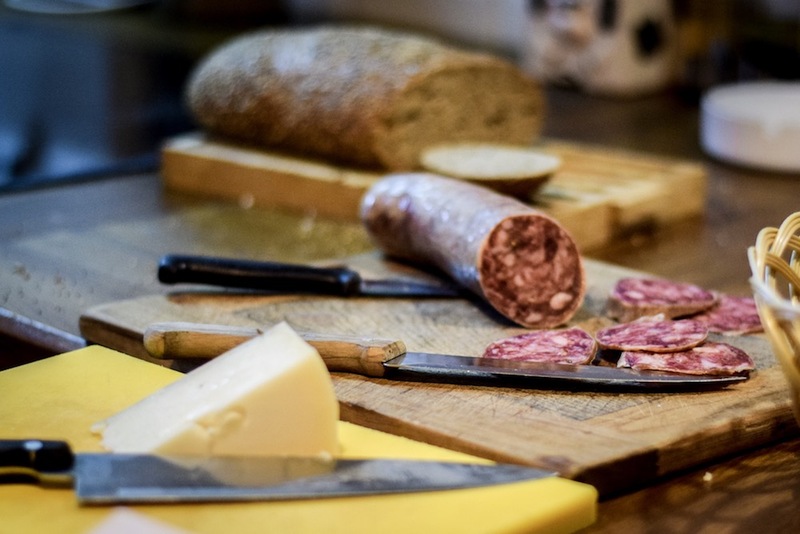 Meat, fish, shellfish, cheese – you name it, you’ll find the best of it here. Perched on a peninsula overlooking the Bay of Santander, the colossal Magdalena Palace was built for King Alfonso XIII and his English wife Queen Victoria Eugenia. The construction of the palace took just four years (1908 – 1912) and was paid for by the Santander City Council. 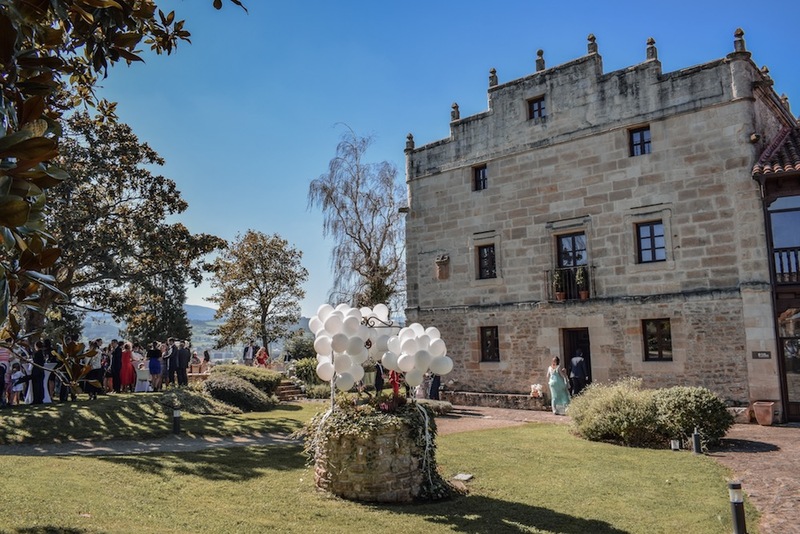 It’s thought that the city gifted the palace to the king and queen in the hope that their presence in Santander would attract other prestigious families and businesses – it worked. The royals spent all of their summers at the palace up until 1930, when they were exiled as a result of the Second Spanish Republic. After the king’s death the palace was inherited by his son Don Juan de Borbón who rather cheekily sold it back to the city of Santander for 150 million pesetas, even though they had given it to his parents for free. Today Magdalena Palace is the most visited landmark in Santander and used to host important government events and conferences. 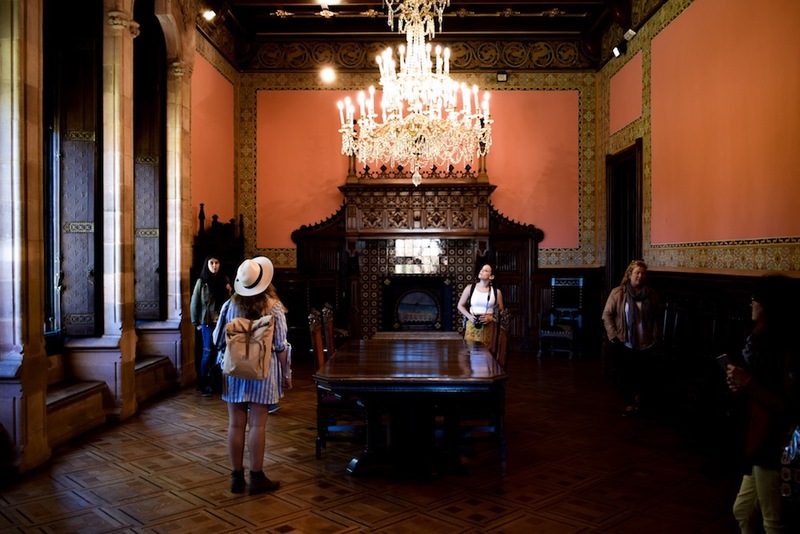 The Menéndez Pelayo International University also hold their prestigious summer courses here and the lucky students get to call the palace home. I liked Antonia and Curai as soon as I met them. The couple met at university, studying archeology and biology respectively before starting their own organic winery, Bodega Señorío del Pas. “We love wine but we hate hangovers, so we decided to start our own vineyard and produce natural wines. 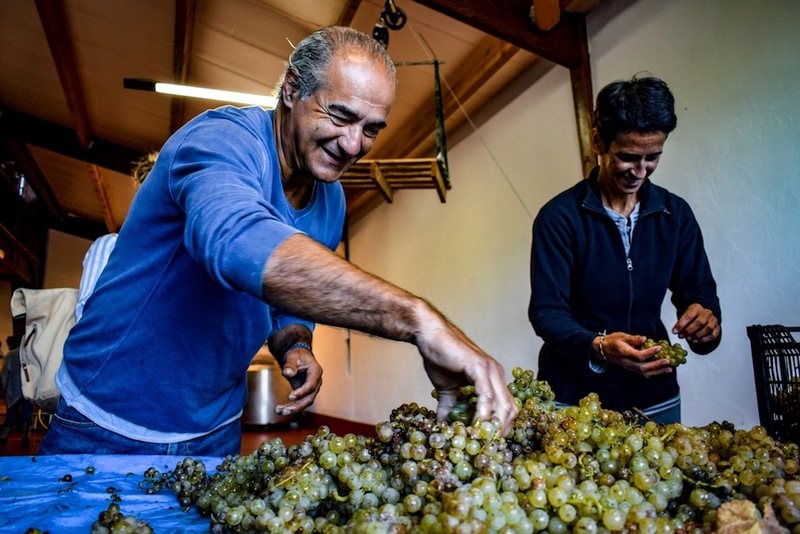 You can drink as much of our wine as you like and you won’t get a hangover,” Antonia enthused. I can’t honestly imagine ever being unleashed on as much wine as I could drink and not waking up without a herd of rhinos stampeding through my head, but theirs is a worthy endeavour and I support them fully. 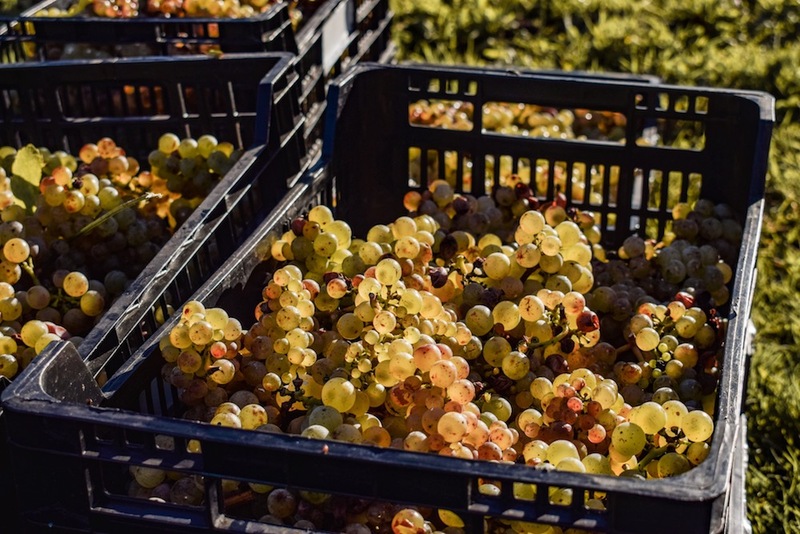 As well as their “hangover-free” stamp, these organic wines taste seriously good. If you’ve tried organic/biodynamic/natural wines before then you’ll know roughly what to expect. At first, having had so much “normal” wine by this point in my travels, it tasted and felt (texturally) a little different on my tongue. But the more I drank, the better it tasted – fruity but earthy, dry but balanced. 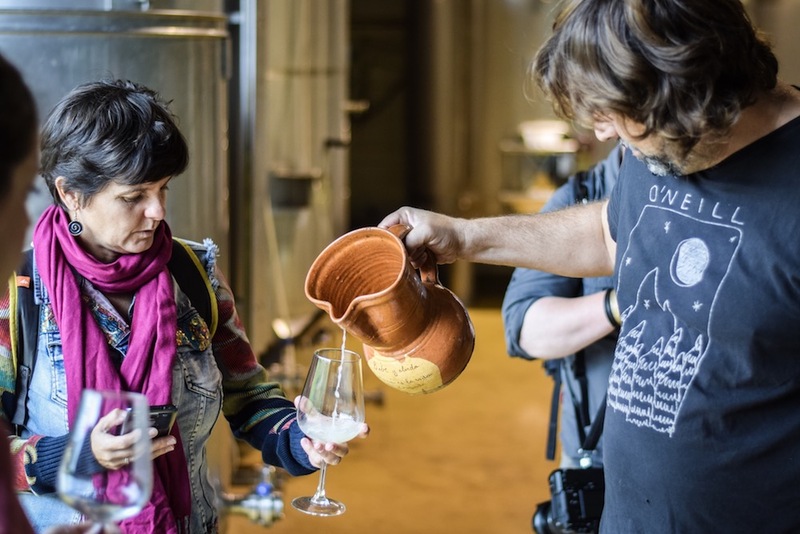 From what I can tell from my vino-fuelled adventures across Spain, organic wines are now a huge trend within the market, so I highly recommend paying Antonia and Curai a visit to learn a bit more about it all. Another beautiful day in Cantabria and another early morning wine tasting saw us exploring the hillside vines of the Bodega Miradorio de Ruiloba winery. I’ve had the good fortune of visiting many vineyards in my time but have never visited during the harvest season, until now. I’ve had the good fortune of visiting many vineyards in my time but have never visited during the harvest season, until now. 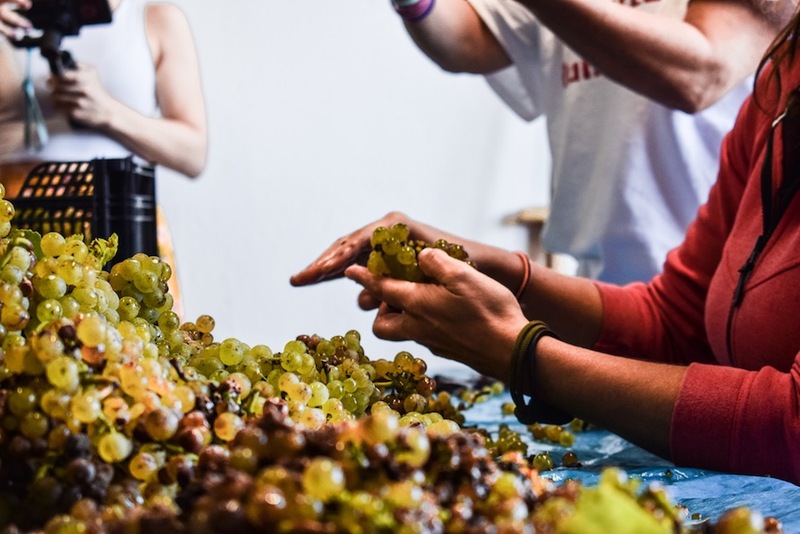 In a muddy four-wheel-drive truck we bumped and bounced our way up narrow dirt tracks to a series of rolling vineyards that hung heavy with ripe bunches of grapes. 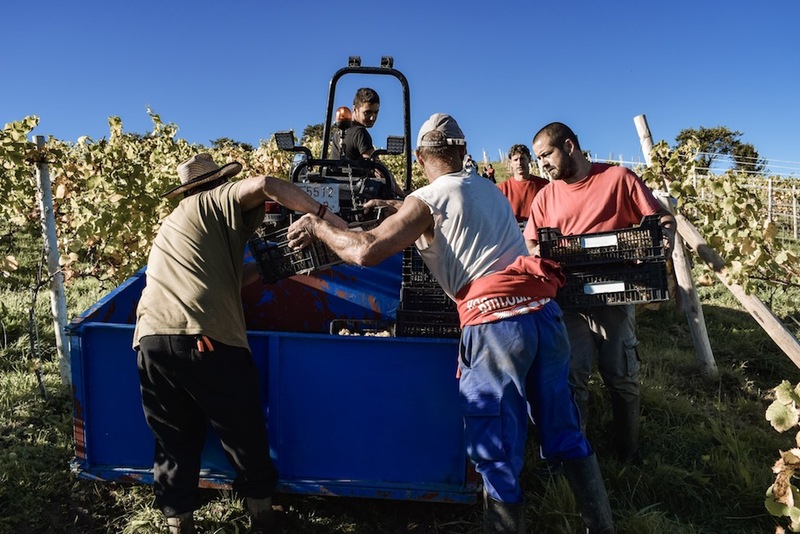 Terracotta rooftops and the glowing Cantabrian sea provided a dramatic backdrop as rosy-cheeked men hurled crates of grapes into the back of a tractor trailer. This really was the most beautiful vineyard I’ve ever seen. Back in the tasting room, we met the owners and heard how it had all come to be. The five owners are old friends and all have full-time jobs. The bodega is their passion project. There aren’t many people producing wines like this and the friends seem to be surprised by their sudden success. The wine was beautifully light to the eye and had that snappy apple bite that I love so much about wines from northern Spain. It was probably my favourite wine from my time in ‘Green Spain’, and god knows I sampled enough of it. Antoni Gaudí may be famous for filling Barcelona with his Modernista masterpieces, including La Sagrada Familia, Casa Milà and Park Güell, but only a few of his designs were constructed outside of his home town. 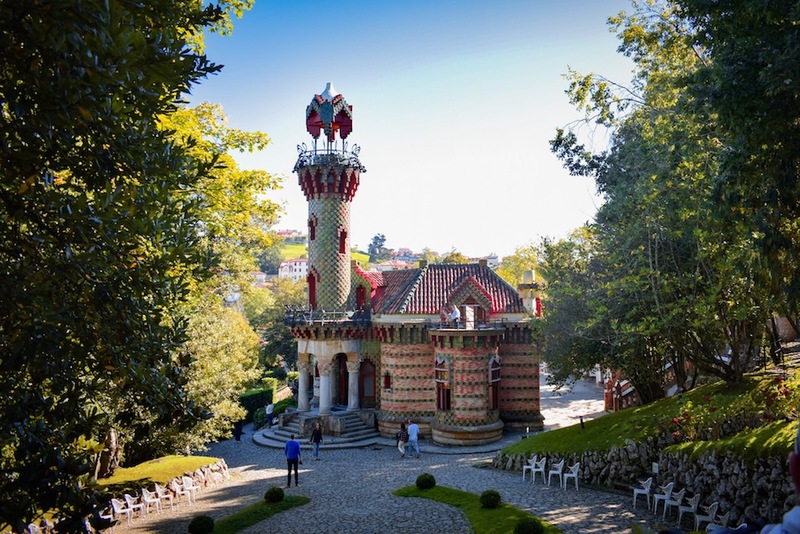 The small Cantabrian town of Comillas is one of the few non-Catalan destinations to boast one of the architect’s greatest works. El Capricho was built between 1883 and 1885 for a rich lawyer called Máximo Díaz de Quijano, who made his fortune in Cuba. 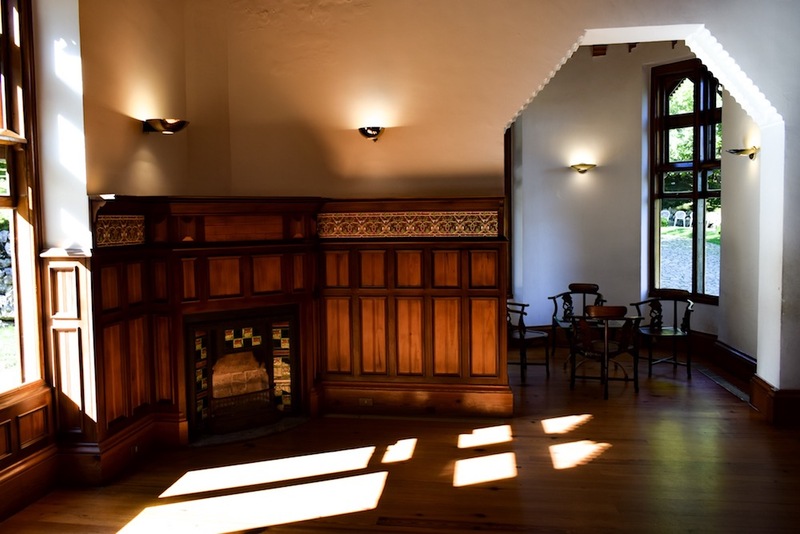 The idea was for the layout of the house to encourage its inhabitants to move from room to room as the sun passes from one side of the building to the other, the way a sunflower turns to follow the sun throughout the day. It begs the question, what was that Gaudi chap on when he designed this? Bright yellow sunflowers adorn the many ceramic tiles that cover the building, which also features a mish-mash of neo-Mudejar, neo-Gothic, Persian and Japanese Oriental design touches – whatever the whimsical Gaudí desired, hence the name ‘The Caprice”. Importantly, as with almost all of Gaudí’s houses, elements of the design are personalised to celebrate the owner’s personal interests. In this case, El Capricho hints at Máximo Díaz de Quijano’s love of music, with wrought iron balconies that resemble musical staves and notes, a number of music rooms and windows fitted with bells that “sing” when they are opened or closed. 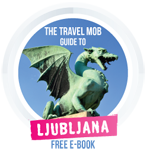 Don’t miss the little rooftop terrace, which is accessible via a claustrophobia-inducing spiralling staircase. Just next door to El Capricho is the altogether more sobre and somewhat eery Palacio de Sobrellano. Colossal in scale and lavished with imposing banquet rooms and cavernous hallways, it was built for Antonio López López, the noble Marquis of Comillas who enriched himself and many others by establishing the Compañía Transatlántica Española (transatlantic transport company). Less gloriously, he was also a slave trader. You call that a palace? Can we stay for dinner? 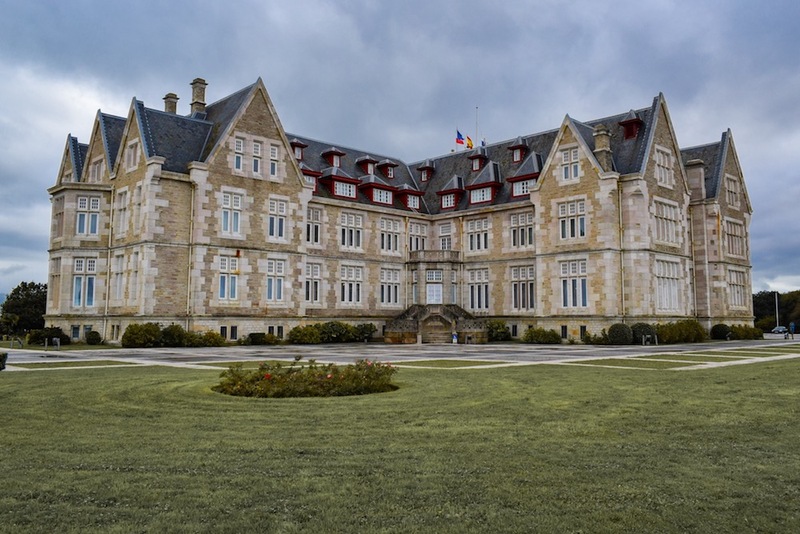 You may notice that instead of facing the nearby Comillas beach, as one might expect it to, the palace overlooks the Pontificia Comillas University. 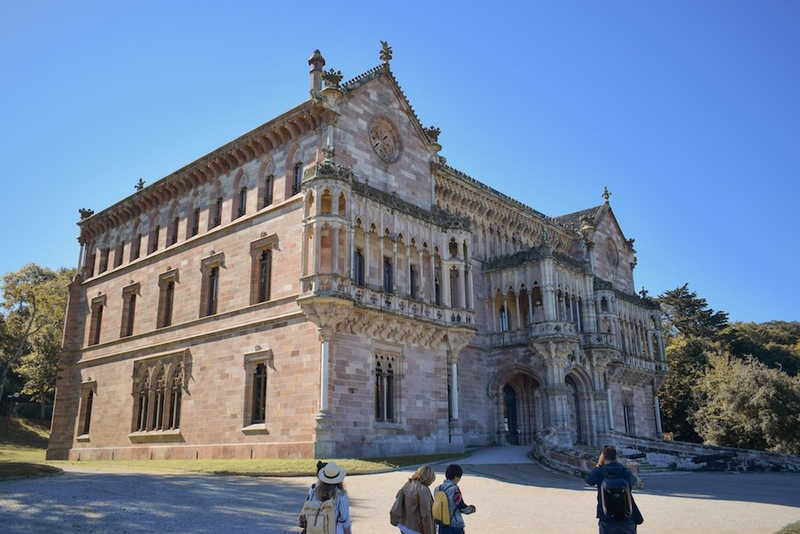 This is because Antonio López López supplied the funds to build the university, and many other establishments in Comillas, and wanted to be able to watch over it from his home. 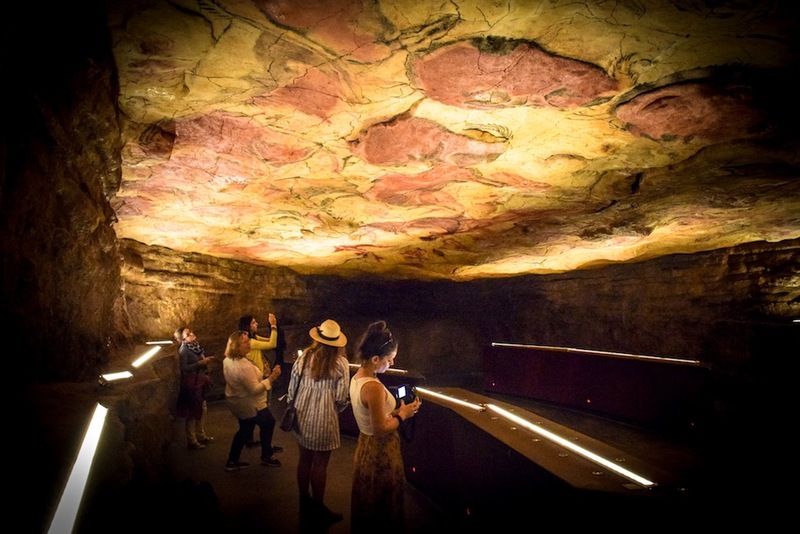 As if the gorgeous palaces and world-class wineries weren’t already enough to inspire you to book your flights, Cantabria is also famous for its unfathomably ancient caves. The most famous is the cave of Altamira in Santillana del Mar. Covering the cave’s undulating ceiling are countless pieces of art created by our ancestors over many thousands of years. These ancient masterpieces were made using charcoal, ochre and fragments of haematite and depict horses, goats, wild boar, deer and the now extinct steppe bison. The artists even used the natural contours of the stone to give their subjects a more lifelike, three-dimensional form. It really puts everything into perspective, the fact that our relatively short period of time here on earth is so fleeting. Altamira cave is celebrated as the “Sistine Chapel of Paleolithic Art”, but what I should also mention is that the cave open to the public is actually a replica of the actual cave, which is located just a few hundred metres away. Scientists obviously want to preserve the original drawings, which is difficult with a bazillion flashing camera lights going off all day every day. But don’t let that put you off. 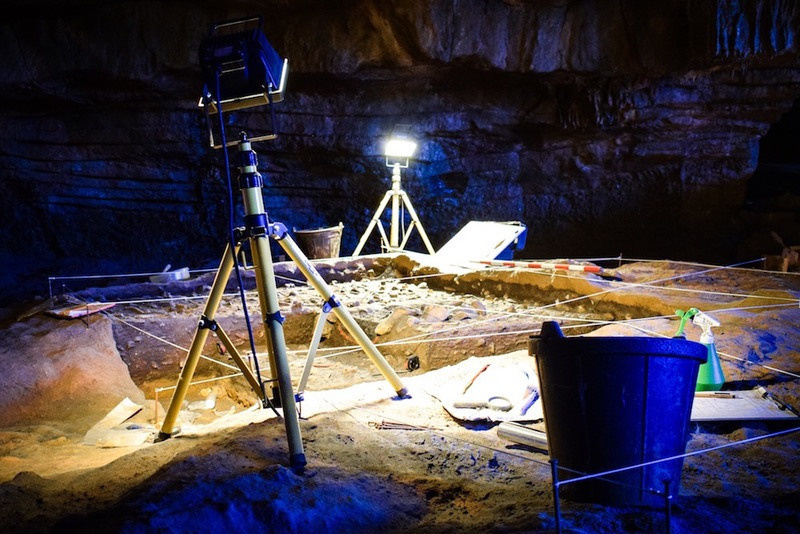 In fact, having arrived at the replicated cave after a particularly rather enjoyable wine tasting session, I was oblivious to the fact that I wasn’t actually in the real cave until leaving the site and finding myself enveloped in a conversation about how realistic it all was. “But, wasn’t that the actual cave?” I muttered sheepishly. Like I say, you really wouldn’t know it’s not the actual cave. 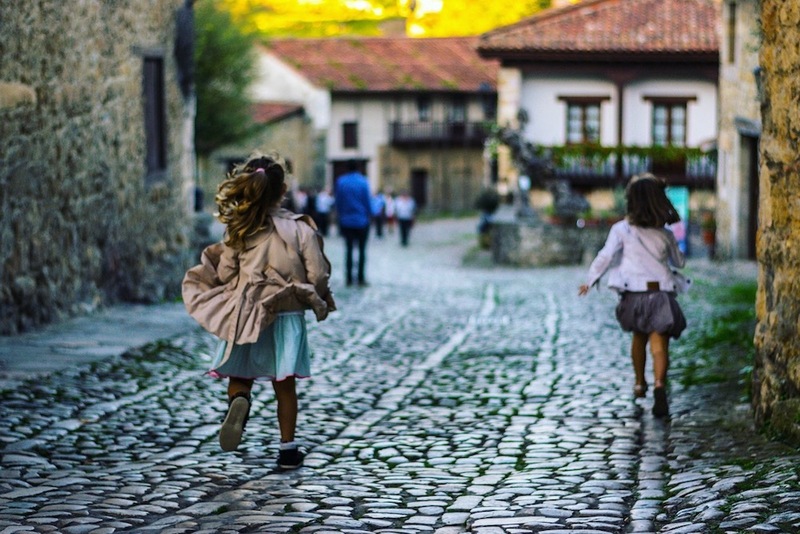 Cantabria is known for its colourful villages and Santillana del Mar is one of the must-sees. Its somewhat misleading name has spurred the nickname “Town of Three Lies” – Santi (holy), flat (llana), del mar (of the sea). It is not a holy town, nor is it flat or anywhere near the sea. But what it is is a perfectly preserved medieval marvel, a warren of cobbled streets lined with butterscotch stone buildings and flower-filled balconies. Who runs this town? We run this town! A wealth of bars, restaurants and little shops hawking all sorts of bric-à-brac make for a thoroughly pleasurable day of wandering and perusing, but what I really enjoyed was simply parking myself on a bench and indulging in a spot of world-class people watching. On my particular visit to the town a magic show had taken over, which meant the streets had been commandeered by swarms of local children. It was an insight into a different way of life and reminded me of my own youth, of simpler days before the Internet, without the burden of being connected to everyone and everything at the swipe of a screen. Loved this post? We have covered even more of Cantabria’s best things to do and places to visit right here. Ben was invited to travel to Cantabria as part of the #InGreenSpain blogtrip organised by Tourism Cantabria, the Spanish Tourism Office and The Travel Mob bloggers collective. 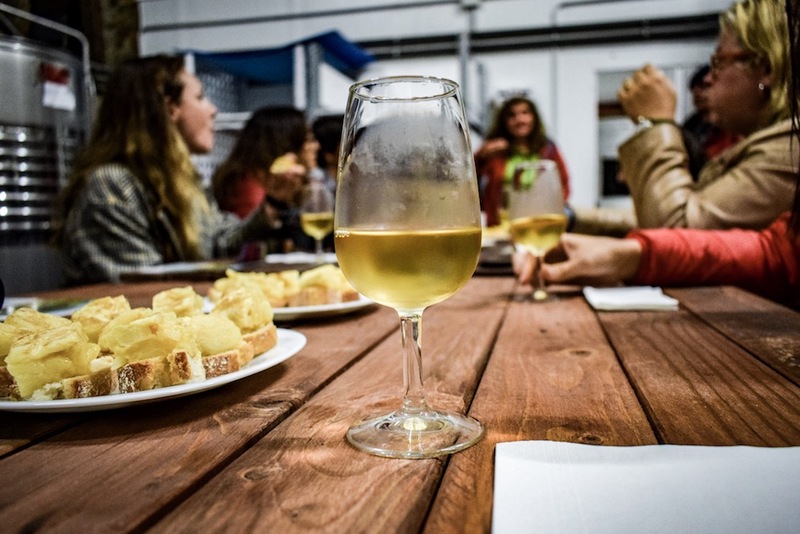 Subscribe to Urban Travel Blog and you can keep up with the rest of his journey across Northern Spain, as he continues to cider-loving Asturias and epic superstitious Galicia. 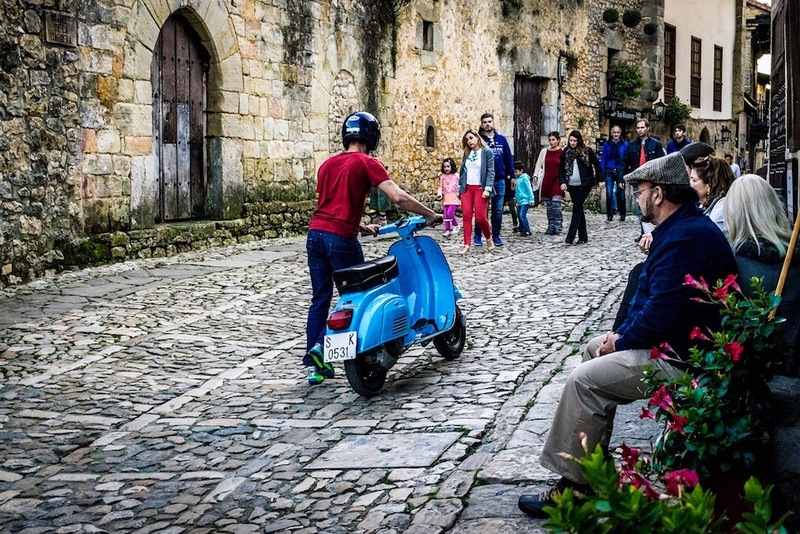 Ben Holbrook is a freelance travel writer and photographer based in balmy Barcelona. Follow his vino-fuelled adventures across Spain and the rest of Europe on his blog DriftwoodJournals.com.